Sammie Jean Bledsoe “Memaw”, a loving mother, sister and grandmother, departed this life on Thursday, July 5th. She was 83. Services will be 11 a.m. Saturday at Carver Park Baptist Church, the Pastor Waylon D. Sias Sr. officiating. Burial will be at Oakwood Cemetery in Waco. 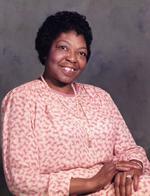 Mrs. Bledsoe was born July 11, 1934, Happy Heavenly Birthday. 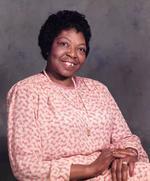 She was a faithful member of Zion Hill Baptist Church, where she was known for her culinary skills. She had a servant's heart and served in many other facets of the church. She retired in 1996 from Ridgewood Country Club as Head Baker. Preceded in death by a loving husband, Oscar Lee Bledsoe Sr. Survivors include three daughters, Nina Bledsoe of Dallas, Carolyn J. Fletcher and Charlene Jones of Waco; six sons, Jim D. Reed Jr., Collius Bledsoe, Ruben (Lynn) Bledsoe, Jan Bledsoe and Frederick Reed, all of Waco, and Billy J. Reed of Philadelphia; one brother, Oscar M. Allen of Waco and one sister, Mattie L. Willis of Dallas; 10 grandchildren; and 3 great-grandchildren; and a host of relatives and friends. The family would like to personally thank her care team at Texas Home Healthcare and Hospice, St. Catherine Center, Dr. Ronald L. Wilson, Rebecca Urbanovsky, RN, FNB-BC and Dr. Rodney A. Brown & Associates. To send flowers to the family of Sammie Jean Bledsoe, please visit our Heartfelt Sympathies Store.